Each month the ASCE News Civil Engineering Roundtable collects insights on important industry topics from a cross-section of prominent ASCE members. 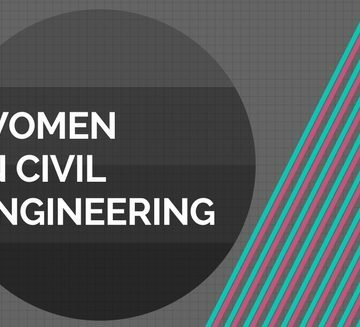 Throughout the ASCE News Women in Civil Engineering series, the roundtable has dispersed wisdom about hope and challenges. In this edition, women look toward the future and offer advice to their younger peers. 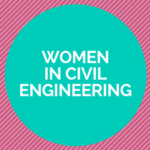 What advice would you give a young woman entering the civil engineering profession? 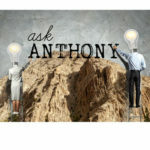 “My advice would be to make sure to initially work as hard and diligently as you did when you were in college. The endurance that it took you to get through college should be shown in your work as you embark on your new career in civil engineering. You want to show that you are prepared for the job and make the employer confident in why they chose you for the position. “My biggest advice would be to find mentors within the profession. Potential mentors would be people within your company, someone you met through a professional organization, former bosses, a leader in your industry, or someone you heard speak at a conference. “I have had mentors who guided me through challenging career decisions, gave me insights on salaries, and provided me access to opportunities. Even to this day I have mentors who give me tough love when I needed it most, coach me out of my funks, and help me grow as a person and a leader. “Get as diverse a technical experience as you can early in your career, so you have a solid foundation in several areas. If you focus too much in one area, you will not have resilience when the market changes to move to another area of interest. Learn to be adaptable! “Volunteer to tackle new challenges. Use your ASCE friends as sources and sounding boards to help you advance and show you how to succeed in new areas. “Keep going. You are not in this alone. “Breaking into engineering can seem like a daunting challenge, especially for young women just starting out in the traditionally male-dominated field. Keep going – do what you can to break through and find your voice in the profession. Be active in professional organizations such as ASCE, it can help you find your voice and feel comfortable exerting it. “Whenever possible, work for firms that have good mentoring programs. Be sure to take the time to visit with your mentor, learn from their experiences, set near- and long-term goals, and understand what it means to be a project manager before the opportunity arises for you to become one. “Join your local ASCE branch and get involved. Then, choose at least one other non-technical/non-profit organization to be involved with to be able to ‘see’ outside the lens of an engineer. • How did you get to this position? • What advice would you give me? • What does your day-to-day look like? • Is there anything innovative that excites you right now? I agree with the advantages of getting diverse experience early on in your career to develop a breadth of knowledge before specializing too much. Most of all, get into the field as much as possible to see how things are actually built — it will change the way you design. Volunteer for short term assignments where you get to experience something different, even if you “assume” you aren’t qualified. Don’t be afraid to be human either – only women can bear the babies for the family! It’s okay to focus on family when the time comes. If you take years off work til the kids are in school, it doesn’t mean you are wasting your education! You can have it all, but it’s a lot more rewarding to not try to have it all at once. There are several great suggestions in this piece – but, what is missing in my opinion are ideas from male engineers! Women will be working with men so get some input from that perspective. I support the ideas of getting experience from several points-of-view: planners, developers, designers, owners, contractors, builders, and operators. I would also suggest that domestic and international experiences help young engineers get a better feeling for what type of work they enjoy. In addition, don’t feel like you are trapped in one path – if you don’t like the work, the location or the people you are working with – make a change!